The political direction of China's new party chief, Xi Jinping, remains unclear even after serving as the party's vice president for five years. Maybe that is what qualified him for the job as president and party head. "Who is Hu?" was the question asked by the international media when a new generation of leaders led by Hu Jintao took over the helm exactly 10 years ago. "Who is Hu?" was not only a nice English pun but also a real question. Hardly anything was known about the new head of state at the time except for his official party biography. And not much has changed in this regard a decade later. Now the same question is being asked about his successor Xi Jinping. But this time many Chinese have an answer: Xi is married to Peng Liyuan, his second wife, who is a popular singer in China. Her patriotic songs such as "My Fatherland" and "Forward China" are fitting for the wife of a senior public official. But in the closed world of China's party elite, the high-profile liaison has made Xi a bit of a maverick. Apart from his marriage, Xi is not perceived as a colourful personality. A dispatch from the US Embassy, published by WikiLeaks, described him as "ambitious, elitist and pragmatic." Born in 1953 to the son of a revolutionary hero, Xi grew up in a circle of elite Communists. To many Communist Party observers, he is one of the so-called "princelings," the name given to the offspring of party elders. But in the early 1960s, his father fell victim to internal party purges, spending years in prison before being rehabilitated after Mao's death. Under Deng Xiaoping, he served briefly as governor of Guangdong province, which at the time served as a test field for economic reforms. Like millions of other young people, Xi Jinping was sent to the country during the Cultural Revolution, spending several years in a remote village in Shaanxi province. Back in Beijing, he became immersed in politics and joined the Communist Party - even while his father was still in prison. 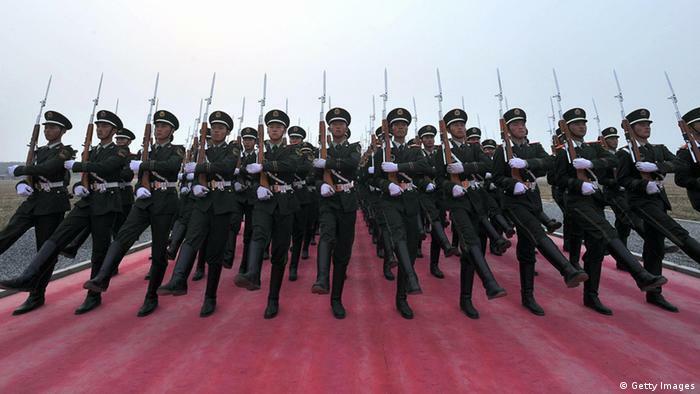 He began his career in the military, working his way up to become an assistant to Defense Minister Geng Biao in Beijing's elite military circle. Later Xi was appointed party secretary and governor of the costal provinces Zhejiang and Fujian. There he gained a reputation for having an open ear for the needs of the private sector, which often suffers under the dominance of China's huge state-owned companies. After Shanghai party chief Chen Liagyu was dismissed because of a corruption scandal in 2006, Party Secretary Xi became the most important figure in the economic metropolis. In 2007, he entered into China's inner circle of power - the Politburo nine-member Standing Committee. And in 2008, he was appointed vice president. Xi has been able to establish a web of influential contacts over the course of his career. He is one of the "princelings" and has used the "Shanghai clique" of former president Jiang Zemin as a springboard for his career. He presumably has good contacts to the military because of his start there and should have a status among liberals thanks to his father. As such, Xi is the ideal compromise candidate. That may be one of the reasons why he undermined Li Keqiang in a leadership shuffle a few years ago. 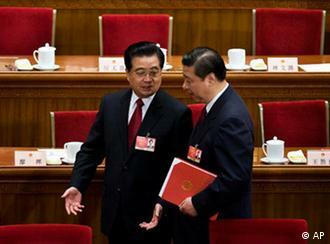 Li has current President Hu Jintao as his patron and is poised to become the country's next prime minister under Xi. Xi is considered to be open to the West. His daughter is studying at Harvard under a pseudonym. He toured the US early in his life and is familiar with Western criticism and expectations of China in both trade issues and human rights. On a recent visit to the US, he surprised the public with relatively clear views on human rights. He admitted that China has still to overcome "many challenges" in this area. On an earlier trip to Mexico, however, he used other words, saying he has no sympathy for "rich Westerners who have nothing better to do than to criticize China." 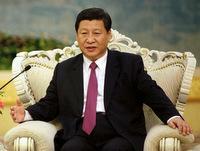 China, he said, didn't export revolutions or poverty and didn't meddle in the affairs of others. He then asked, so "what do you want?"